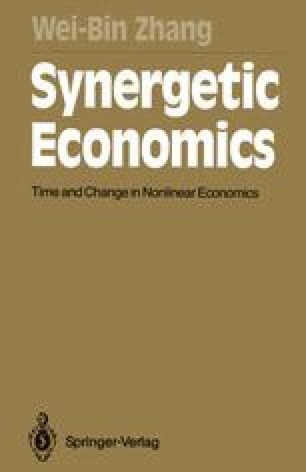 In the previous chapter, we showed that small changes in external parameters may cause dramatic evolution of nonlinear dynamic economic systems when the systems are near critical points. Multiple equilibria are not the exception in such unstable systems. If we consider that small changes in parameters may be due to chance, these results imply that economic evolutionary paths cannot be decided by perfect historical determinism. Chance can change the development trajectory dramatically. However, the economic phenomena examined in Chap. 4 are time-independent. This chapter is concerned with those structural changes (due to small shifts of parameters) which result in regular time-dependent behavior — limit cycles.